Pictured above are Greg Teschendorf , longtime Guilford SGT volunteer and Branford’s Chet Blomquist at the Tabor Trail section ribbon cutting. 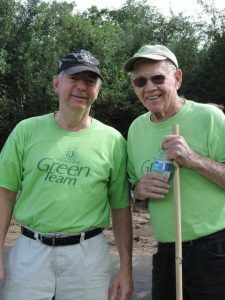 These men have been with Shoreline Greenway Trail since the beginning and continue to inspire us all! Thank you Greg and Chet!